Solutions to handle your wine Solutions to handle your wine ACMI is a suplier for some of the most important Italian wine producers thanks to the high quality and innovation of its products. Solutions to handle your milk Solutions to handle your milk The experience matured in the bottling industry applied to the dairy sector has made ACMI a point of reference for this sector. Solutions to handle your food Solutions to handle your food Flexibility and innovative solutions for a sector where the duration in time along with the high level of reliability of ACMI's installations are fundamental qualities. Solutions to handle juice and soft drinks Solutions to handle juice and soft drinks The upmost in technical evolution for the most important multinational brands of the beverage industry. Solutions to handle your beer Solutions to handle your beer A high degree of versatility combined with exeptional performance in order to fully satisfy the different requests of the beer sector. 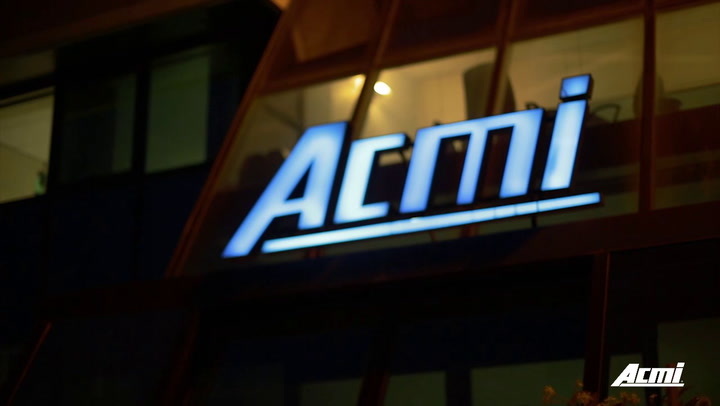 Solutions to handle your water Solutions to handle your water ACMI's vast experience at the service of the mineral water sector with hundreds of lines installed all over the world. The new section of the web site dedicated to the Service Area is now up and running. ACMI installed a very fast end of line for cans at the Welsh factory of the AB-InBev Group. A complete high efficiency can line of 60,000 cph. An innovative, highly flexible glass bottling line of 32,000 bph. An innovative system for the production of packs, with or without handles, of four and six products without the use of glue or heat. The Twisterbox has revolutionized, in fact, the concept of palletisation. Patented over ten years ago by ACMI, today it represents a point of reference for all the highly efficient ends of line. ACMI elaborated a repacking system with modular units capable of answering to the most varied needs in the beverage and packaging industry. Vortex is the fastest pallet stretch wrapper of the ACMI range. It is particularly suitable for half and quarter pallets and is equipped with an innovative electronic pre-stretching system.